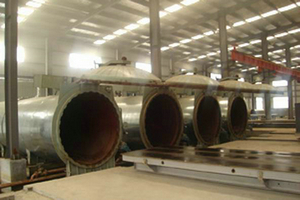 Autoclave shall be supported with two supports at its both sides evenly at site. 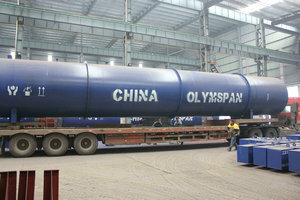 Distance between two supports shall be about 3/5 of the length of the whole autoclave. 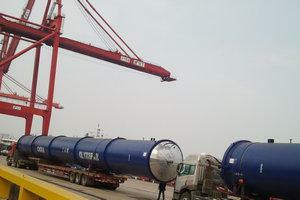 For autoclaves which are not going to be used, at least four supports shall be put evenly. These supports are designed to prevent autoclave from damage and other measures shall be taken to prevent it from corrosion. 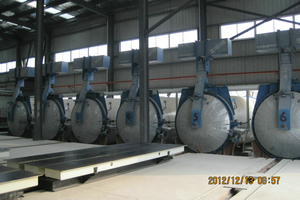 Raw Material: sand lime brick, cement, flyash brick, slag brick, aerated concrete block, etc. 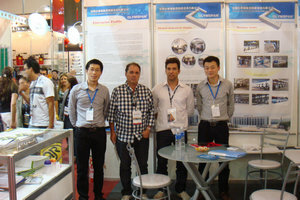 Our experts design products on our own technology and patents and learn from foreign countries. 1. 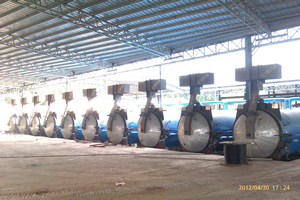 Provide reasonable suggestions for production line of autoclave of users to yield the gratest efficiency of equipments. 2. Freely direct position, installation, debugging, and on-site training to use normally, and direct users to use autoclave safely, high efficiently, and conveniently. 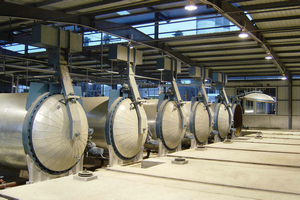 3. Review clients for usage of autoclave. 4. Provide quick-wear parts and spare parts . 5. pay techinical visits and check and offer suggestions for customers regularly if necessary. 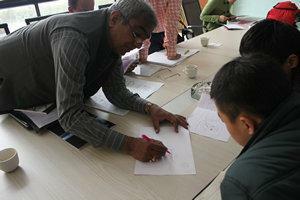 6. teach workers to operate and to fix some small problems. 1. 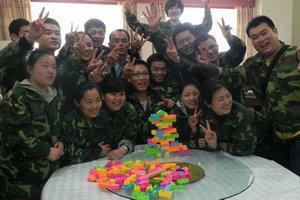 Aerated Autoclaved concrete block (light block ) is the light and porous building material. It has light ,keeping temperature , Environmental protection,can't burn and other advantages.it has a wide prospect of market.it is the main building material in the future. 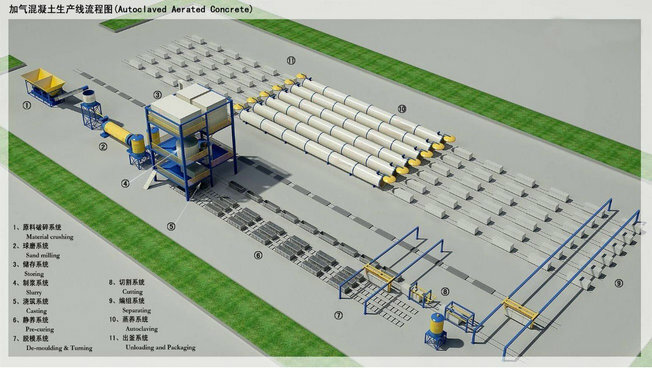 it can be made into many kinds of bricks(for example:600×200×100,80×80×180,240×115×53,600×200×125),they could be used industry building and common building.they are more and more popular in the world.in the future,they will replace the Clay brick completely. 2. 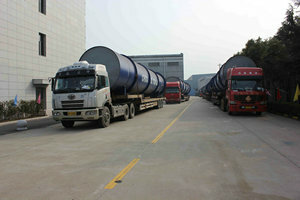 Areated concrete common conception.Common concrete density is usually 1600-2400kg/m3,but areated concrete are 500kg/m3,600kg/m3,700kg/m3.It has not the big grain,main use silicon material (for example:flyash,sand,stone dust and others ),through making the material small for example sand,they can be used directly if has enough degree of small (for example fly ash.Mixing calcium material lime, cement water to a special slop,then add the aluminum dust and the additive.Make the aluminum dust and the special slop have a Chemical reflect.then produce Hydrogen to make the concrete slop to expanding or swell,foam.Next,put them into the curing room to concreting cutting steaming curing,last,there will bacome the light brick,the porous rate is 70-80%. It has highest thermal rating in the industry….R30! Thus provides well insulated interiors, keeping out warm air in summer and cold air in winters.AAC reduces Air conditioning cost by 30%. 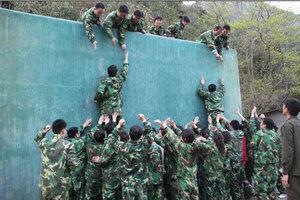 AAC wall has an excellent sound Transmission class (STC) ,rating of 44. Result: Virtually Soundproof Interiors! Earthquake forces on structure are proportional to the weight of the building, hence AAC shows excellent resistant to earthquake forces. Regions of high seismic activity like Japan exclusively use AAC. 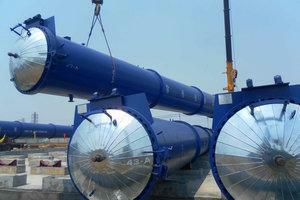 It has been proven to withstand wind loads of category 5 tropical storms. Use of thinner blocks (6" instead of 9" exterior walls) because of its excellent water barrier & insulation properties leads to an increase in floor space area between 3-5%. Being lightweight AAC drastically reduces the dead weight of building, resulting into reduction in steel (up to 27%) and cement (up to 20%) structural cost saving.Being 8 times the size of a clay brick, AAC wall construction involves 1/3 the joints, thus an overall mortar saving up to 66%. Its automatic manufacturing process gives AAC an exceptional dimensional accuracy & smooth surfaces, eliminating need of three-coat plaster walls and allows for a final 6 mm skim coat (putty/POP). Best in class fire rating of 4 hours. The melting point of AAC is over 1600 ºc, more than twice the typical temperature in a building fire of 650 ºc. 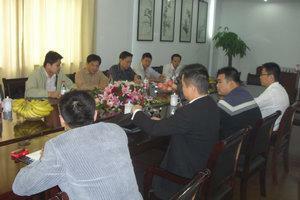 50000m3 to100000m3,workshop is 2000m2,the land is 8000m2. 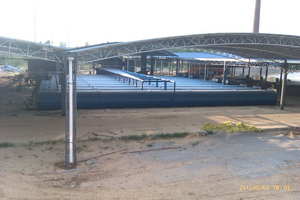 150000m3,workshop is 2500m2,the land is 10000m2. 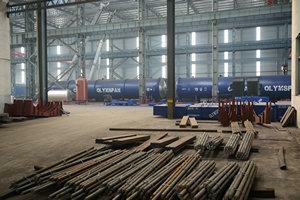 200000-300000 m3,workshop is 3000m2,the land is 15000m2. Above please refer to ,the bigger the better. 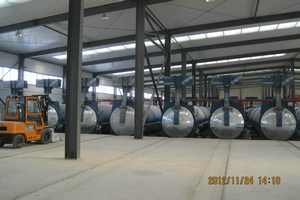 Autoclave is key equipment which has a widely application in building material factory to autoclaved cure different kinds of building materials. 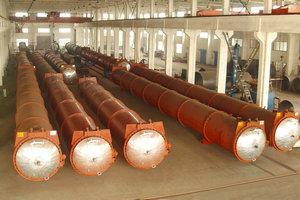 It is also used in areas of chemical, textile, wood, Glass, Brick, metallurgy, Rubber, military industry. 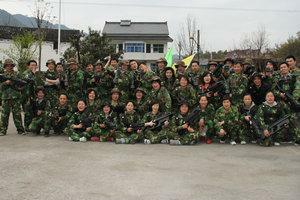 Convenient operation, security and reliable are its advantages. 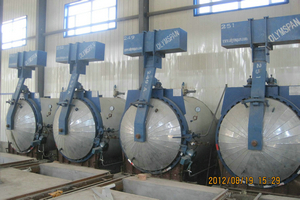 Autoclave belongs to pressure vessel which has explosion risk. 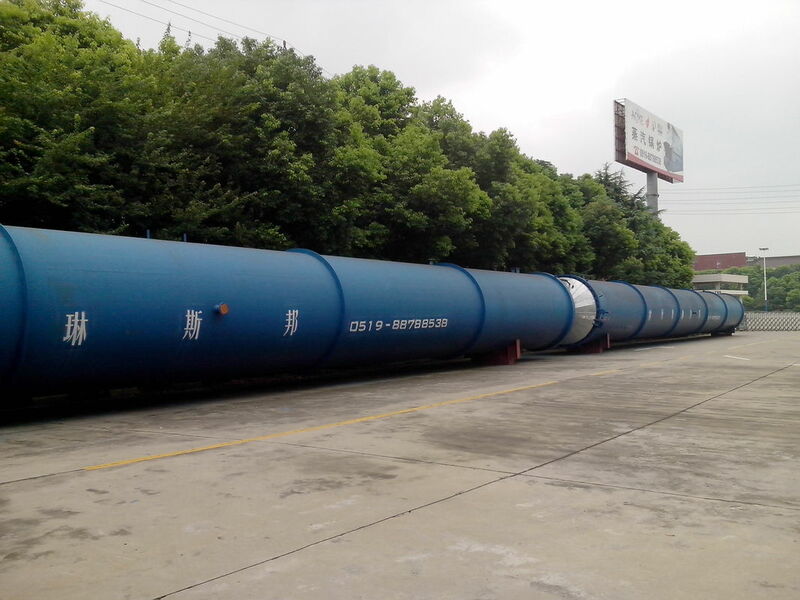 According to the supervision regulation on safety technology for pressure vessel on divide standard of pressure vessel, the product is part of first and second class pressure vessel. 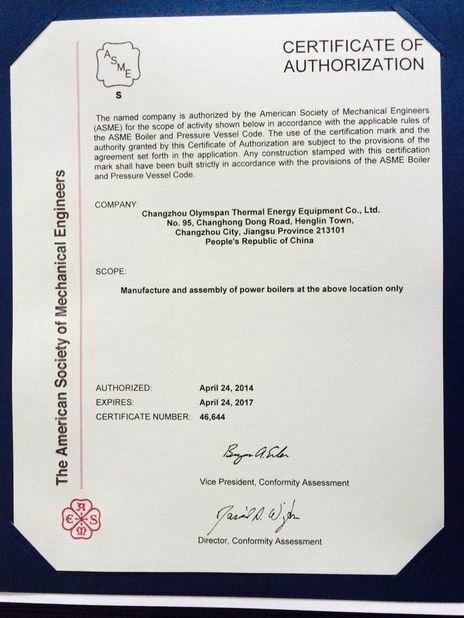 Before putting into operation, the end-user must register in the local boiler and pressure vessel safety supervision organization and acquire the operation permit, at the same time it must accept supervision and inspection. 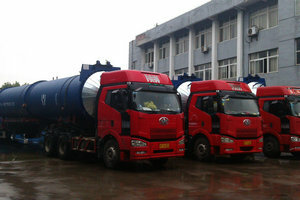 a) Q345R-GB713 of Hanggang in Hebei. c) φ133×25 tube to make DN100 and the material is 20-GB9948. 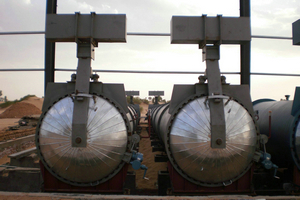 a) After welding kettle door, it must proceed annealing heat treatment. 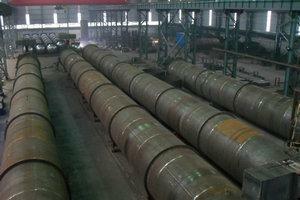 b) Polish toothed cutter of flange of autoclave body, and carry out magnetic particle testing. c) Use double scale container board, and ensure the longitudinal joint of each section. d) Carry out the physical and chemical test (stretch, impact), ensure its strength. e) Welds are 100% X-ray detection, then carry out hydraulic test of 2.1MPa after passing. 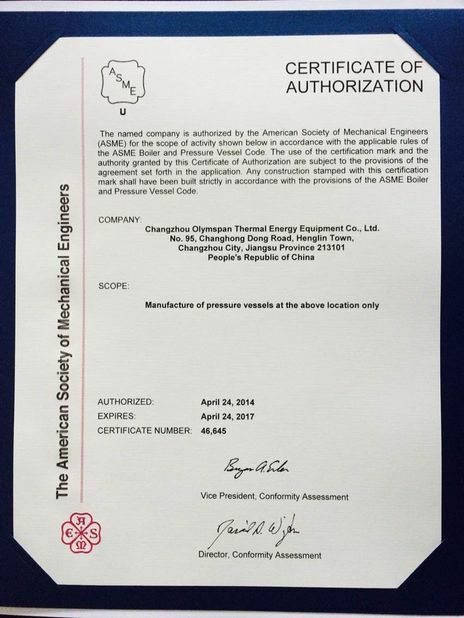 The whole process is complete inspected by CSEI factory inspection, and leave factory after stamp and signature . a).Hand speed reducer installs mechanical interlocking, and we don't move when there's pressure in kettle. b).Equip with manual limited safety interlocking device, stuck kettle manually, and when it opens , then we can open the door. c).Equip with electric limited safety interlocking device,use cooperatively with manual limit, and connect with electric cabinet, rotating electrical ark with pressure and sound-light alarm.